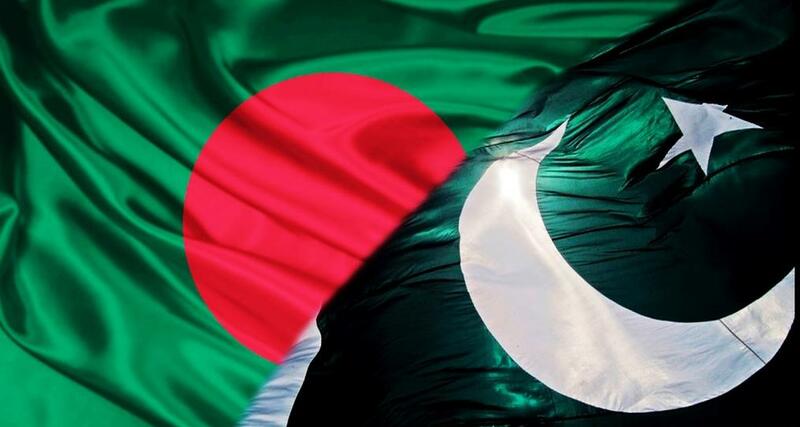 DHAKA, MAR 24: The Pakistan government should formally apologise to the people of Bangladesh for the atrocities committed by Pakistan occupation army during the War of Independence in 1971, Salima Hashmi, daughter of Pakistani late poet Faiz Ahmed Faiz said in Dhaka on Sunday. “My father wrote a number of poems on the genocide committed in Bangladesh. He expressed the sufferings faced by the people in 1971,” a visibly emotional Hashmi said while talking to the Independent after receiving the “Bangladesh Liberation War Honour Award” at a ceremony in the city. “I was overwhelmed with emotions while coming over to Bangladesh and receiving the award on behalf of my father,” the daughter of the renowned Pakistani poet, who was outspoken on the atrocities committed by the Pakistani occupation forces during the 1971 Liberation War of Bangladesh, said. The Pakistani government repeatedly warned my father for writing in favour of Bangladesh’s freedom struggle. We did not know much about the atrocities committed by the Pakistani Army, as information was not passed by the military personnel, she recounted. Asma Jahangir, a renowned human rights activist of Pakistan and daughter of the late Malik Ghulam Jilani, then vice-chairman of the West Pakistan Awami League, also received the award on behalf of her father in Dhaka yesterday. “It’s a positive step taken by the Bangladesh government. It’ll strengthen Bangladesh’s relations with different countries,” she observed. The recipients of “Bangladesh Liberation War Honour” and “Friends of Bangladesh” have thanked the Bangladesh government for bestowing the honours upon them for their outstanding contributions during the Liberation War. Some of them shared their emotions with The Independent on Sunday. 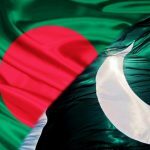 The Bangladesh government honoured 68 foreign nationals, as well as an organisation, in the sixth phase of honouring the country’s foreign friends. Dr Amiya Kumar Chaudhuri, an Indian national, thanked the government for recognising their contribution in the 1971 War of Independence. He was an active member of the Calcutta University Shahayak Samity during the Liberation War. He used to collect funds for Bangladeshi intellectuals by arranging cultural events. “It’s really a remarkable moment for us. We highly appreciate the Bangladesh government’s initiatives to honour its foreign friends,” he said. Chaudhuri organised a number of seminars to impress upon the then Indian prime minister Indira Gandhi the need to recognise Bangladesh’s struggle for freedom. “We arranged many seminars to mobilise public opinion in favour of Bangladesh. Despite financial problems, we continued the movement to support the people of Bangladesh,” he added. Dr Dhrubajyoti Lahiry, then a lecturer in Presidency College of Kolkata, was another member of the Calcutta University Shahayak Samity. He said they had extended all-out support to the refugees from Bangladesh. He also arranged seminars throughout India to create mass awareness about Bangladesh’s freedom struggle. “The award made me a little uneasy at first. But, at the same time, I feel happy that the government of Bangladesh has taken a landmark initiative to honour all foreign friends for their role during its War of Independence,” he said. Dr Tomio Mizokami, professor emeritus of Osaka University of foreign studies in Japan, expressed deep gratification after receiving the award. “It’s remarkable. It’s difficult to express in words. I feel honoured to have received such a prestigious award,” he said. “During the Liberation War, I came to know about the atrocities committed by the Pakistani Army through print and electronic media outlets. I, then, decided to do something for the oppressed people of Bangladesh,” he added. “I started collecting funds in Japan. I also shipped food and other essential commodities to the distressed people,” he recalled. Munshi Mohammad Fazle Kader expressed his gratitude to Bangladesh for receiving the award. “I’m a simple person. It’s a lifetime achievement from Bangladesh,” he said. “The oppression of the Pakistani army against minorities, and the Bangladesh people, inspired me to work in favour of the Liberation War of Bangladesh. I prepared documents, distributed letters and leaflets and participated in meetings and processions to raise voice against the atrocities committed by the Pakistani Army,” he added. This entry was posted in Blogs and tagged 1971, Bangladesh, Faiz Ahmed Faiz, pakistan, Salima Hashmi by Mukhtar Ahmed. Bookmark the permalink.